The bigger the beard, the bigger the star! 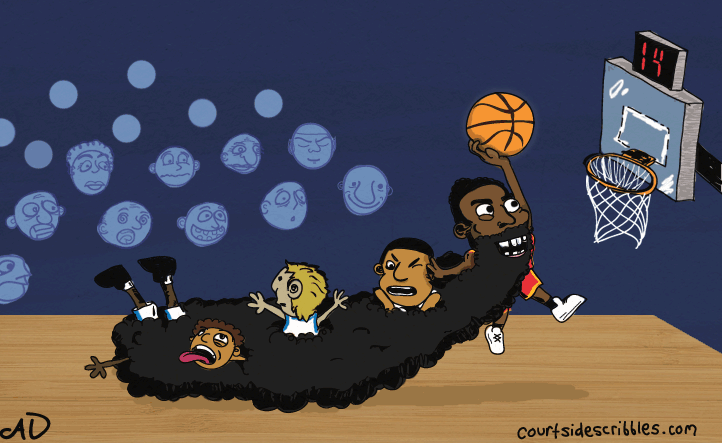 I am still waiting for the day when a nephew-level G-leaguer gets his fingers caught in Harden’s facial hair. When that happens you will all know that it was predicted here first. Things ended poorly for the Beard that season. Despite reaching the Western Finals, the Rockets were punted in 5 games by the rising Warriors. Harden shot 18% from the field, scoring only 14 points while committing 13 turnovers.